Well, the long-awaited stimulus money has finally begun to trickle into the state and county governments. Many agencies have shuffled project budgets around to take advantage of the stimulus funding and preserve their capital funding for other projects that were unfunded. Others are barely hanging on due to budget cuts. The Stimulus Funding, though very small in most regions, may actually fund a few localized construction projects. Look carefully and we can find hidden opportunities for the ICF industry. In February 2009, President Obama signed into law the long-waited $787 billion American Recovery and Reinvestment Act (ARRA). Representatives on both sides of the aisle are calling it the single most important legislation in the history of the A/E/C industry, although the exact results have yet to be determined. Much as expected, commercial construction activity saw a decline in the last quarter of 2008 and into the first quarter of 2009. This was no real surprise since historically, the commercial sector almost always declines shortly after a downturn in the residential markets. Unfortunately the drop has been much faster than anticipated. As a result, U.S. building materials suppliers in general are now struggling to stay in business with a 60% reduction in residential construction (depending upon which survey you read and which day of the week you read it) and the rapidly crumbling commercial markets. 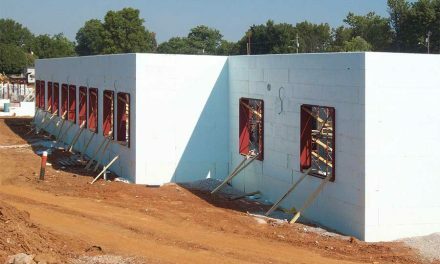 This creates a somewhat tough position for the ICF market in terms of being price competitive versus other building systems. However, there is still the client that seeks quality as well as price. In comes the knight in shining armor! The Federal Government. That’s right, Uncle Sam to the rescue. 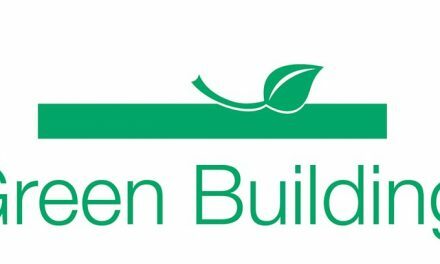 Along with the Stimulus Funding Package, the GSA (U.S. General Services Administration) is attempting to promote green building. It wants sustainability within the Federal Government as well as in any project that uses Federal funds. The GSA recently released a collection of case studies outlining best practices titled Sustainability Matters. This publication outlines how the Administration and its partner firms and companies are executing sustainable strategies when acquiring, operating and maintaining GSA properties. This publication gives you an opportunity to look inside the agency that owns and maintains the Federal Government’s real estate portfolio. By understanding how the Administration approaches property ownership, you can discover hidden opportunities. The GSA is attempting to mandate that all new Federal properties are a minimum of LEED Certified, but that doesn’t mean that they will all be ICF structures. However, it is an opportunity to expand your company’s services by supplying additional products and installation services. 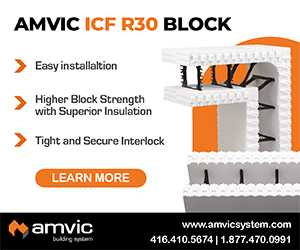 It also creates the opportunity to promote Insulated Concrete Forms as a value-engineered bonus. While the folks down at the GSA and the Army Corps of Engineers are aware of the ICF industry, there is still a large portion of the design community that has never been involved with ICF construction. Once again, it goes back to being involved with the A/E community and knowing who’s doing what. For the most part the Feds do not do any design work other than concept development. So staying in contact with the design firms allows you to up-sell or value engineer a project by utilizing ICF’s. I recently spoke to the owner of an ICF installation company who is building a multi-story medical facility in Louisville, Ky. He complained that they were constantly having to stop because the general contractor was unable to keep up. long run it will save you money by preventing you from starting and stopping over and over. Infrastructure–The Stimulus Package in general is focused on five sectors of the population and economy. The first and foremost—as most of us now know—is the rebuilding and upgrading of the nations crumbling infrastructure. This includes repaving old highways, repairing aging bridges, replacing century-old piping, and so forth. Approximately $90 billion has been allocated to this sector, and this is but a small down payment on what is really needed. 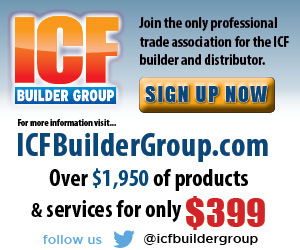 There are no real opportunities here for the ICF constructor except for support facilities. For instance, I’m aware of a highway project that now includes an ICF rest area. There are small opportunities if we are willing to seek them out. Sometimes it becomes a matter of creating that opportunity by education. Energy–This package contains roughly $42 billion in energy-related investments. It’s estimated that only $500 million (1%) will go to tax credits for home owners purchasing energy efficient appliances. The real benefactors are makers of solar panels and wind turbines. The other winner is the research companies trying to get the power transmission grid into the computer age. 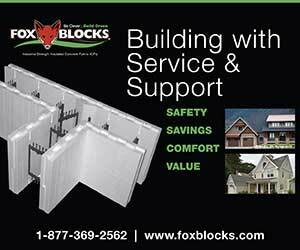 But the package did extend the tax credits for utilizing ICFs in the residential sector. The deductions available under the current Energy Reduction Bill were extended through 2013. Schools–As I discussed in the February/March issue, America’s schools are a large recipient of Stimulus Funding. The largest portion of the education funds will be appropriated to keeping teachers on the job and supplementing state budget cuts. Programs like No Child Left Behind, Head Start and Early Head Start will benefit as well. The exact amount that has been appropriated for school construction is currently unavailable. It is also hard to predict the impact these funds will have, because many state boards of education will re-allocate their capital funding programs to other needs in order to take advantage of the stimulus funding. Still, I believe this presents an opportunity for ICFs. Environment–The Interior Department and the Environmental Protection Agency (EPA) will receive approximately $9.2 billion. Nearly $8 billion of that is going towards cleanup of gasoline storage tanks, and the nation’s hazardous waste sites. A small portion of the total amount is set aside for building energy-efficient visitors centers at the nation’s national parks and refuges. Welfare–The poor population of America will also get a boost with $82 billion allocated for a number of programs, none of which present opportunities for ICFs. Military–In addition to the $6.2 billion funding from the Stimulus Package, the House of Representatives recently put their stamp of approval on an additional $10.02 billion exclusively for construction funding. While recently checking the inventory of current projects underway or in the design phase utilizing ICF construction it became obvious to me that the two real growth sectors are school construction and military-funded projects. I focus this month on helping you navigate through the process of becoming registered to not only do business with the Federal Government but, to help you also find out what is going on in your area with government projects. There is a tremendous amount of opportunity out there but you must follow a very rigorous process to get started. Once started, it is very easy and user friendly. In fact if you register properly the government will send you notices when new projects come out that meets you registration criteria. 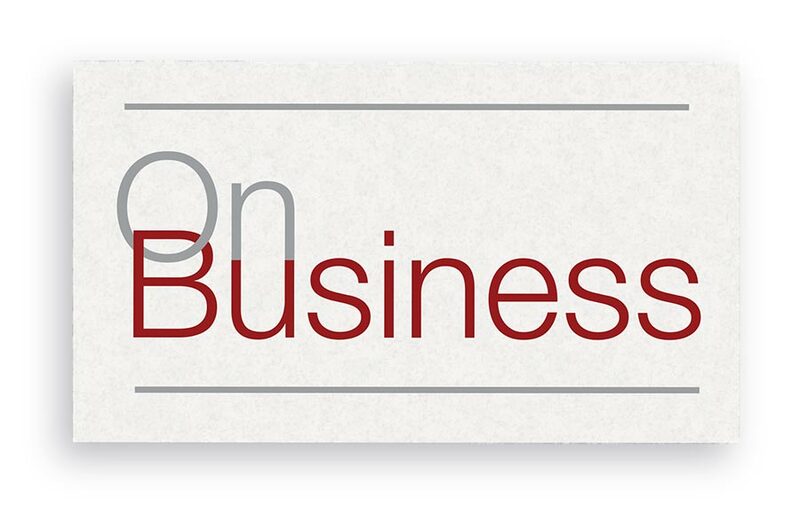 You can start by getting registered through Dunn and Bradstreet to receive a D&B Number. This is simply a means by which the government tracks each vendor/supplier. The easiest place to do this is to log on to www.CCRsearch.gov/start. Once on the site, choose “register D&B”. Once you are registered it will take about 48 hours to receive your number. You can register in the Central Contractors Registration (CCR). One word of caution, when entering the different job classifications be sure you only check the areas and types of services you will be bidding. The tendency is to choose as many as possible thinking that you are going to be covered for anything. However, when the various agencies and general contractors view your profile they will be looking for specifics. So if you don’t provide the service every day as a part of your business function, leave it out. Focus on what you do best and are most competitive at; the likelihood of successful bidding is much greater. 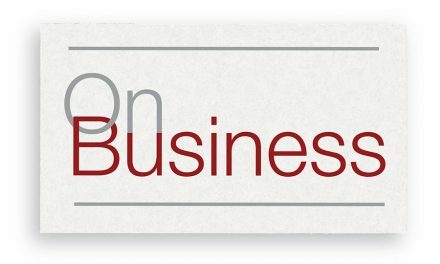 Once you have completed the D&B/CCR registration you can log onto the Federal Business Opportunities website, or FedBizOps as it is referred to. This site will once again require a registration but it is immediate. You simply fill in the blanks and click submit. You will then have the opportunity to view every single federal project currently in design, bidding, or under construction, much like your Dodge Reports or Reed/CMD. On this page you can also choose what type of projects you would like to search for. There are numerous different criteria available for defining your search. It works much like Google in terms of how you search single words or multiple words. You can return information based on a single word match, a phrase match, a CSI division match etc. A full list of projects for the GSA can be found at gsa.gov.recovery. A “how to” guide locating Stimulus Fund projects can be purchased at www.Zweigwhite.com for $145.00. For full coverage of the Stimulus Funding on the Military visit defenselink.mil/recovery.gov.